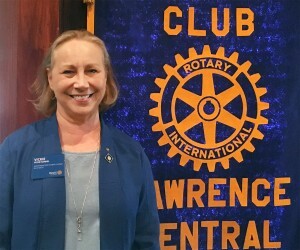 LCR member Janis Bunker is a passionate advocate for PolioPlus, Rotary Foundation’s drive to eradicate polio in the world. When she attended the 2017 Rotary International conference in Atlanta last June, she joined roundtable discussions about the effort. Beginning in 1979. Rotary International began its fight against polio with a multi-year project to immunize 6 million children in the Philippines. Over the past decades, Rotary has partnered with the United Nations, the Organization of American States, and the Bill and Melinda Gates Foundation to fund and implement the project. Today, Afghanistan, Nigeria, and Pakistan are the only countries where polio remains endemic. Although there were only 17 cases reported during 2017, work to ensure that the virus does not emerge once again will continue for ten years after the last case is reported. Even as monitoring for new cases continues, the infrastructure of laboratories and immunization clinics works to manage outbreaks of new diseases in the world. Michael Steinle, chair of the Foundation Committee for Lawrence Central Rotary, outlined the six areas of focus that define the work of Rotary Foundation. They are (1) promoting peace; (2) fighting disease; (3) providing clean water, sanitation, and hygience; (4) saving mothers and children, (5) supporting education; and (6) growing local economies. 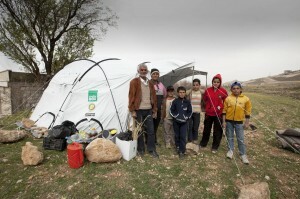 Contributions to the Foundation support projects aimed at these initiatives. The Foundation is proud to be known for delivering 91% of each contribution dollar to help these efforts. Vickie Randell, former Rotary District Governor, current district Rotary Foundation coordinator, (and now Assistant Regional Foundation Coordinator for Zone 27) is excited about what the Rotary Foundation has done and even more excited about what’s coming in the future. 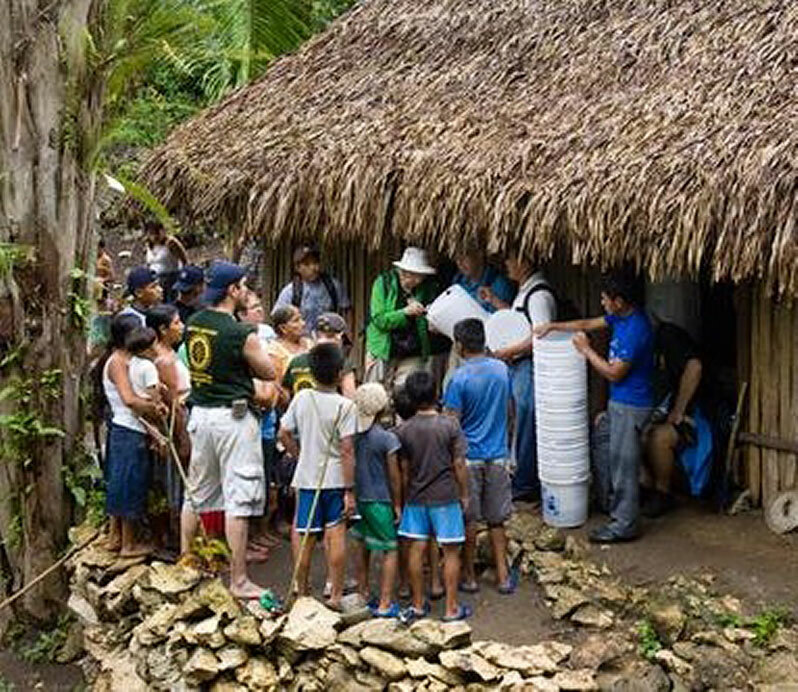 The Rotary Foundation supports projects all over the globe as well as locally. “In our district we have clubs whose members have formed especially strong bonds with people in Panama and Guatemala. “We’ve done global grants there that have helped educate people about clean water sources, worked on schools and provided medical supplies, “she said. She showed a slide of a rocky, road, filled in spots with water that children had to walk through to get to school. Rotarians cleaned it up and graded it. The water supply for one community was a filthy, refuse filled stream. Through Rotary intervention there are now huge tanks supplying clean water. “Teams of Kansas Rotarians have gone to Mexico to build houses,” she said. In India dump dwellers, who made their living scavenging in the dump, where they also lived, are being taught other ways to support themselves. In Uganda vocational training teams are teaching nurses in pediatric hospitals. Randal also talked about how in an unusual twist, Rotary clubs in Japan sent foundation money to the U.S. to help victims of hurricane Katrina proving the work of Rotary goes wherever it is needed. There is always more to do. “We’re building the Rotary Peace Fellowship project, dedicated to eliminating conflict and helping the victims of conflict. And polio is not quite gone. There were still 54 cases in the world this year. 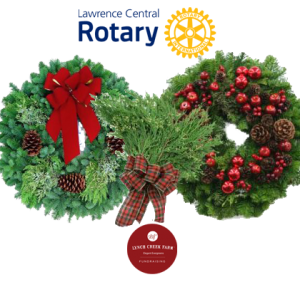 Again this year, and in memory of a tradition started by founding member Becky Castro who passed away earlier this year, Lawrence Central Rotary is selling wreaths and holiday decorations from Lynch Creek Farm and all the profits from the sales are going to the Rotary Foundation. The Rotary Foundation transforms these funds into projects that change lives both close to home and around the world. As the charitable arm of Rotary, the Foundation taps into a global network of Rotarians who invest their time, money, and expertise into Rotary’s priorities, such as eradicating polio and promoting peace. Rotary Foundation grants empower Rotarians locally and worldwide to approach challenges such as poverty, illiteracy, and malnutrition with sustainable solutions that leave a lasting impact. You can contact any of our members to purchase in person to arrange a purchase, but there’s even an easier way! You can purchase a broad array of holiday decorations online by using this website http://bit.ly/lcrholiday14 – It will direct you to the Lynch Creek Website and 25% of your purchase will come back to Lawrence Central Rotary to help locally and globally uniting for the common good. Lawrence Central Rotary is proud to do our part locally and we encourage you to help us! With World Polio Day on 24 October, it’s a good time to talk about polio eradication. To mark World Polio Day on 24 October, Rotary and Northwestern University’s Center for Global Health will host a live streamed global status update on the fight to end polio. Invited guests include Global Polio Eradication Initiative partners, celebrity ambassadors, polio survivors, and Rotary members. We are at a “tipping point” for polio eradication. 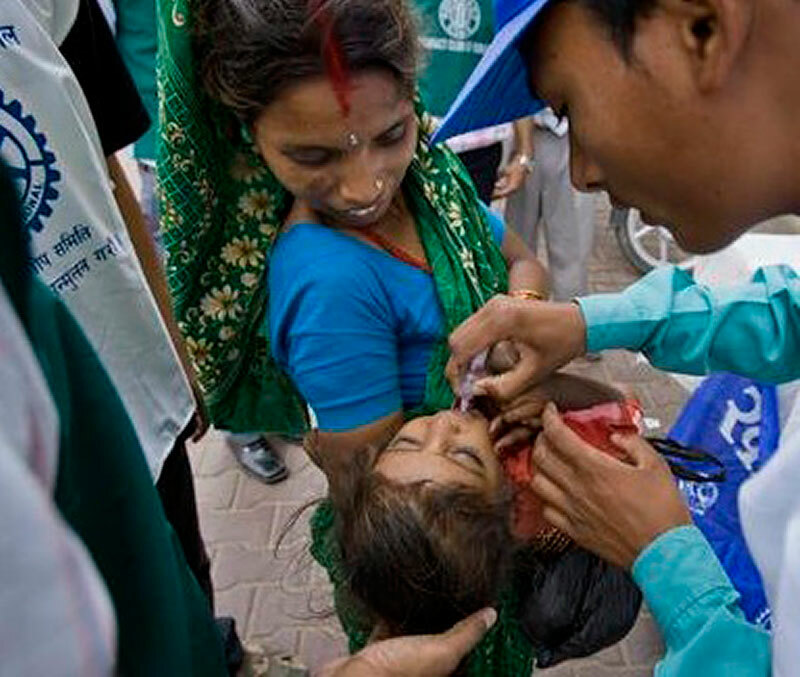 In 2012, polio cases were at their lowest levels ever. Rotary and its partners have to finish the job or risk losing long-fought gains entirely. Since the global initiative began more than 25 years ago, Rotary and its partners have reduced polio cases by 99 percent worldwide. There are only three countries where the wild poliovirus has never been stopped: Afghanistan, Nigeria, and Pakistan. 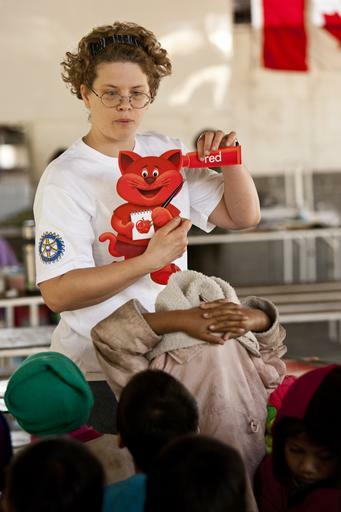 Rotary’s chief role is fundraising, advocacy, and mobilizing volunteers. Other partners in the Global Polio Eradication Initiative are the World Health Organization, U.S. Centers for Disease Control and Prevention, Bill & Melinda Gates Foundation, UN Foundation, and UNICEF, along with world governments. 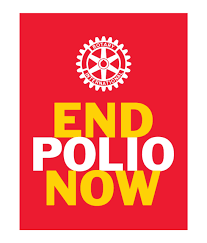 Every dollar Rotary raises (up to US$35 million/year) will be matched 2-to-1 by the Bill & Melinda Gates Foundation for polio eradication efforts through 2018. Rotary and Northwestern University’s Center for Global Health will host a live streamed global update on polio eradication on World Polio Day, 24 October.